Photographer Gay Block began taking portraits in 1973 of her own affluent Jewish community in Houston, later expanding this to include South Miami Beach and girls at summer camp. 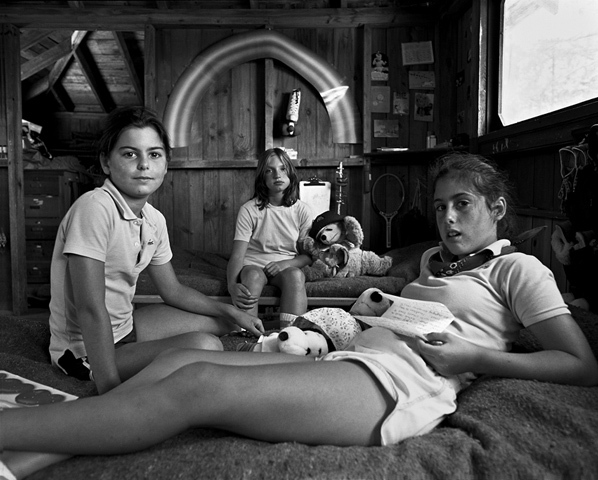 In 2006, Block re-photographed the women who were girls in her 1981 series from Camp Pinecliffe, twenty-five years before. Block's photographs are included in museums and private collections including the Museum of Modern Art, New York, San Francisco MoMA and The Museum of Fine Arts, Houston. January 22, Block will present an overview of her career, talk about how her work as a portrait photographer has given her insight into life and love, and sign copies of her recently released Radius book, About Love. Photographs and Films 1973-2011 at the New Mexico Museum of Art, Santa Fe. Sounds very exciting. Always so interesting to view how people change, sometimes expected other times complete surprises.